It’s just a few more days until Christmas, but Stony Creek Ranch Resort is making sure there are plenty of wonderful holiday activities happening throughout the season. Since being purchased in 2015 by the McLean family, Stony Creek Ranch Resort (formerly 1,000 Acres Ranch) has been renovated to bring even more of the Adirondack rustic allure to the existing ranch property. According to Stony Creek Ranch Resort owner Scott McLean the property was purchased at auction. After opening for the 2016 season they decided to use the subsequent winter months to provide some improvements to the ranch’s existing charm. The Train to Christmas Town experience recreates the popular children’s story by author Peggy Ellis and illustrator Jeffrey Lee. 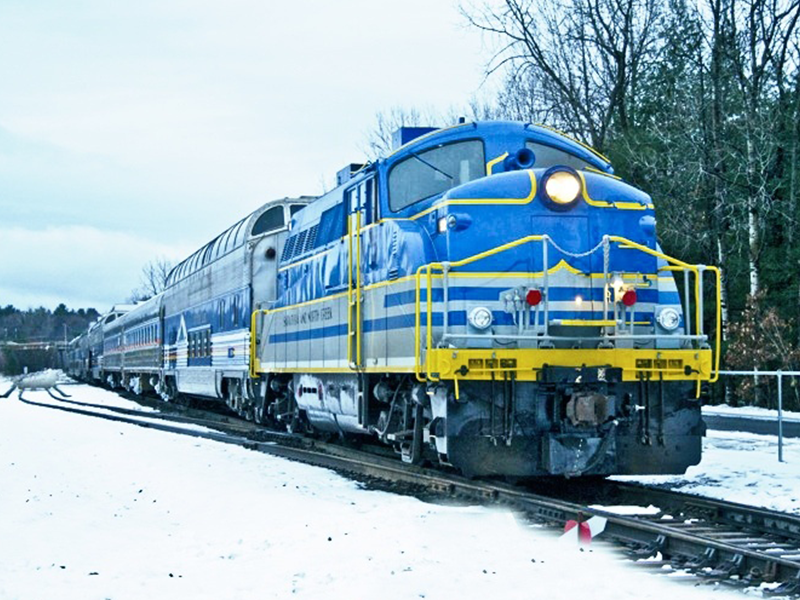 The Saratoga North Creek Railway brings the storybook to life when participants are joined on their train ride from Stony Creek Ranch Resort to Christmas Town by Bumblebee the Bear, Zephyr the cat, and Wabash the squirrel. Elves serve hot chocolate and cookies while woodland creatures welcome visitors near and far. 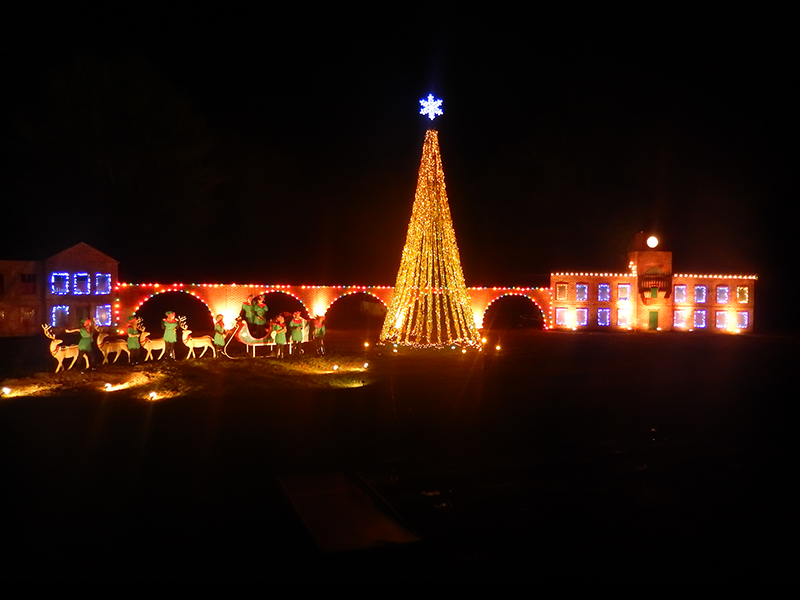 The exact location of Christmas Town is sworn to secrecy, but Santa Claus does visit with all patrons upon arriving to the magical lighted town and presents them with a special treat. 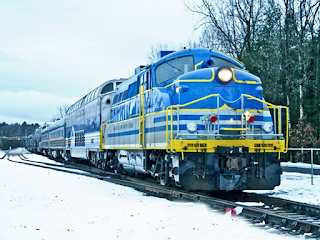 The one hour roundtrip train ride returns to Stony Creek Ranch Resort for even more holiday fun. Stony Creek is an all-inclusive resort located just west of Lake George in Warren County. The ranch offers daily horseback riding, cattle drive, heated pools, daily entertainment, fishing and rowboats (in season), hiking trails, arcade, indoor movie cinema, s’more bonfires, and more. The ranch will remain open to the public through the end of December, but McLean has the rest of the winter slotted for special events and private parties. 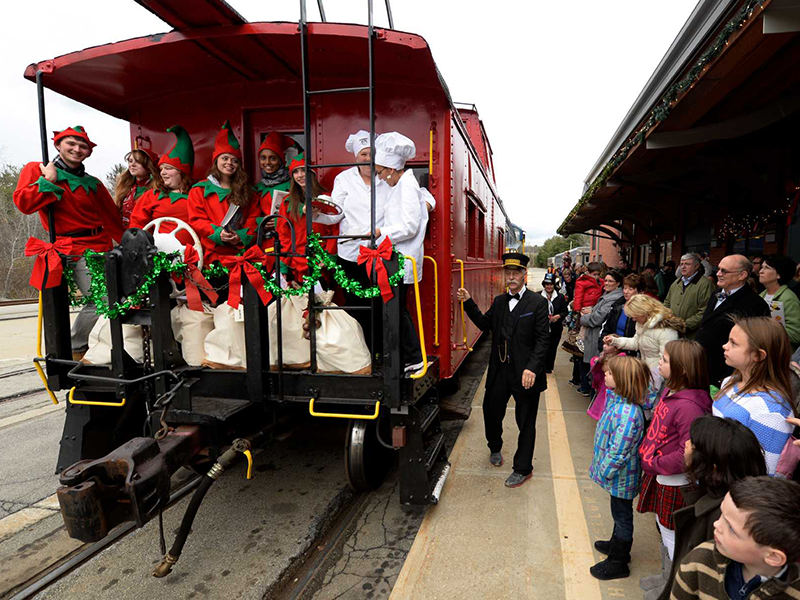 The Train to Christmas Town is only available for a few more days. Tickets are available on December 21-23. Tickets for December 26-27 are listed as sold out, so please call for availability. There are three classes of service: Standard, First Class, and Diamond with prices ranging from $59/adult or adult with babe in arms and $49/children (2-12) to $79/adult or adult with babe in arms and $69/children (2-12). 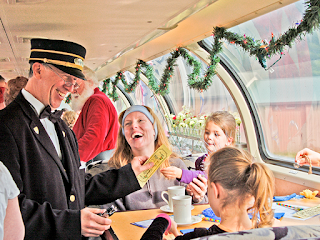 Reservations are required by calling the Saratoga North Creek Railway or by booking online. Enjoy Christmas Town!